Thank you for your Listing on my Mercury Safe Dentist Directory-Website. You are a valuable addition to the Directory and we want to make sure you are able to take full advantage of all of the many Benefits and Features that are included with your Directory Listing. A Directory-Website is a unique and extraordinarily cost-effective Internet marketing concept I’ve pioneered that combines the best features of an Internet Directory with the many benefits of having a focused and targeted Website. Combining the two is synergistic - making each more effective at generating new patients. As my Directory has the Highest Rankings with Google, MSN, and Yahoo; it is easy to understand why a Listing with me offers so many Benefits and Features. I encourage you to take the time to review the benefits and features of your Listing and if you have any questions please contact us toll free at 800-335-7755 or email us by Clicking Here. NEW: Marketing and Growing a Mercury Safe Practice: How to Cost-Effectively add New Patients and Increase Revenues Designed by Dr. Tom McGuire, the leading expert on Mercury Safe Dentistry, this easy to use, step-by-step guide is guaranteed to grow your practice! Utilizing the Poison in Your Teeth to Educate Patient & Increase Revenues The book is not only the best way to educate your patients about this important topic, but will generate new patients. The Relationship of Oral to Overall Health (Available as a booklet) The most cost-effective way to educate the health practitioner about the relationship of Oral to Overall Health - and generate patient referrals. Sample Letter To Health Practitioners: To Hand out with Poison Book & Booklet Introduces you to the health practitioner in a positive way. NEW: Mercury Free & Mercury Safe: Every Dental Patient Should Know the Difference (For Patient Handout) The best way to educate your patients about what you do and is a great word-of-mouth promotional tool. NEW: Why My Practice in Mercury Free and Mercury Safe ( Patient Handout) Your patients need to know the difference and this is the best way to do it. NEW: Our YouTube Video, Continuous Loop DVD, and Facebook Page Our educational YouTube Video visually educates the public about the release of mercury from amalgam fillings and promotes mercury safe dentistry. It will make the consumer more aware of the importance of safe amalgam removal and drive more people to your practice. I encourage you to add a link to it on your website and all of your Social Media Pages. Mercury Detoxification Book Review: The A to Z Guide to Mercury Detoxification for Patient and Dentist Best book ever written on this subject for the layperson, dentist and health practitioner. Making Patient Education Profitable How to turn your hygiene practice into a practice builder. Healthy Teeth - Health Body: "Become the Education Dentist" Use this book to not only educate patients and generate new patients - but help you to become 'The Education Dentist'. Referenced and Abstracted Article Database on Studies Related to Mercury. This is the largest organized database of such articles in the world. NEW: Adding Social Media Links to Your Directory Listing You can now add many of your Social Media Links to your Listing. Just contact us with the URL of what you want Listed and we'll post it for you! How to Make Your Practice Mercury Safe - Minimizing Occupational Exposure to Mercury: DVD Course The A to Z guide to making your practice as mercury safe as possible- for yourself, your staff, your patients and the environment. The only DVD of its kind available to dentists and a must for every dental office - even if you now think you are mercury safe! 6-Hours of CE Credits. NEW: Dr. Tom's OraMD Dentist Referral Program: All Natural 3 in 1 Oral Health Care Product Now you can offer your patients the most versatile and healthiest oral health care product available - and generate substantial passive income by doing so. Continuous Loop DVD: Patient Education Video About Mercury Vapor Released from Amalgam Fillings by Brushing. Dental Practice and generate new patients and increase revenues. The program is available on our website at http://www.mercurysafedentists.com/marketingprogram.html. His program is based on the fact that it is no longer realistic to think that only promoting your practice as mercury free (amalgam free) is enough to generate new patients - it must also be actively promoted as mercury safe. Another key element is its emphasis on how to get patient referrals from Health Practitioners in your area. Dr. Tom’s program is the only one of its kind and is guaranteed to generate new patients and increase revenues. As you will learn, the success of the program is based on effectively utilizing his books, The Poison in Your Teeth: Mercury Amalgam (Silver) Fillings . . . Hazardous to Your Health and Healthy Teeth and Healthy Body: How to Improve Your Oral and Overall Health to generate new patients and increase revenues. There are four areas where my book, The Poison in Your Teeth: Mercury Amalgam (Silver) Fillings . . . Hazardous to Your Health will be a very cost-effective practice builder and revenue generator for your Mercury-Safe and Mercury-Free practice. 1. Provide the book to patients who want to have their mercury amalgams safely removed but still have questions about them. Often these questions require time consuming answers and providing the Poison in Your Teeth book to selective patients means that the time saved will, in effect, generate more revenues. In addition, the book will be passed around resulting in more referrals to your practice. 2. Present the book to existing and new patients who still have mercury amalgam/silver fillings, but haven’t requested their removal. Many of these patients either don’t know about the health hazards related to mercury released from amalgams, or they are uncertain, or even skeptical. I also suggest providing the book to every female patient of child-bearing age. Chapter 6: The Fetus, Nursing Baby and Child clearly explains the value and importance of providing the book. The long-standing dilemma for mercury safe dentists is that they’ve been pressured “not” to initiate the conversation about the potential health hazards of the mercury released from amalgams. Using The Poison in Your Teeth to educate patients will provide them access to this information, from a credible third-party source, allowing them to make informed choices. Your only involvement is to fulfill your responsibility to provide your patients with information about their oral and overall health; leaving them to make their own decisions. Those who received the book will also pass it around and tell their family and friends - increasing referrals. 3. Provide The Poison in Your Teeth to health practitioners in your area, including those you already know and those you’d like to make contact with. I’ve discovered that most health practitioners, traditional and alternative, don’t fully understand how toxic the mercury released from mercury amalgam silver fillings is and how hazardous chronic mercury poisoning is to one’s health. This is because they’ve never had access to information that clearly explains the amalgam - mercury issue. Once they understand it, they will readily see the benefits of encouraging their patients with amalgams to have them safely removed. The book also explains that unless their patients’ main source of mercury (amalgam silver fillings) is safely removed the treatment they are providing will never achieve the results their patients seek. The book contains studies showing health improvements in patients after the amalgams were removed and has 300 references, attesting to the book’s credibility. Every health practitioner you provide the book to will be grateful to you and he, or she, will quickly become a solid and continuous source of referrals. 4. Shift your Marketing Emphasis from Mercury Free to Mercury Safe. For decades the term “Mercury Free” has been used to distinguish between dentists who remove amalgams in a safe way and dentists who don’t. But relying on Mercury Free to infer you use safe amalgam removal protocols is no longer valid or useful. Today for the first time, over 50% of general dentists no longer place mercury amalgam (silver) fillings and most of them are now advertising themselves as being a Mercury Free Dental Practice. You can see the problem this creates because the public has long assumed that dentists who call themselves Mercury Free are also ‘Mercury Safe’. This means unsuspecting patients will now be misled by dentists who use the term Mercury Free . . . yet aren’t Mercury Safe! The solution to this problem is to always refer to your practice as both Mercury Safe and Mercury Free (Amalgam Silver Filling Free – and use both terms whenever you market or promote your practice with all forms of all media advertising. I can’t stress this enough because although dentists who no longer place mercury amalgams can call themselves ‘Mercury Free’ - if they don’t remove them safely they cannot use the term ‘Mercury Safe’! In The Poison in Your Teeth I make this distinction clear to readers and emphasize the need to find a dentist who is both Mercury Safe and Mercury Amalgam Filling Free. Providing my book to patients will clarify this issue for them. I’ve included a link to two articles I wrote about the difference: Mercury Free & Mercury Safe: Every Patient Should Know the Difference and Why My Practice is Mercury Free (Amalgam Filling Free) & Mercury Safe. You can access both articles by Clicking Here. Patients: Provide the Poison in Your Teeth book to selected patients will accomplish two things. First it will educate your patients away from the dental office. Second, it will very cost-effectively promote your practice - generating new patients. The key to having the book generate referrals is to always stamp your contact information on the first page and inside the back cover of every book you give out. Health Practitioners: Select the health practitioners you want to provide the book, booklet, and cover letter to, starting with the practitioners your staff members see and alternative health practitioners in your area. You can also ask patients who are interested in spreading the word to give the package to their own practitioner. It is more effective if you, r a staff member, or a patient personally delivers the package. Always stamp your contact information on the last page of the Booklet and on the first page, and inside the back cover of every book you give out. or call toll free 800-335-7755. Introducing health practitioners (alternative and traditional) to the vitally important relationship of oral to overall health is a major piece of my Marketing Program. Health practitioners are a gold mine of patient referrals but until now most dentists have not understood how to tap into this resource. The key to getting health practitioners to refer patients to your practice is to provide them with valid reasons why it’s in their best interest to do so. I’ve learned that many health practitioners aren’t fully aware of how damaging gum disease and other oral health issues can be to overall health. Neither do they know how toxic the mercury vapor released from amalgams is - and how hazardous chronic mercury poisoning is to one’s health. The reason is because they’ve never had access to information that clearly explains the amalgam – mercury – oral to overall health relationship. Once they understand it, they will readily see the benefits of encouraging their patients with mercury amalgams to have them safely removed and will refer them to your practice. The Booklet and Poison in Your Teeth Book also emphasize to the health practitioner that unless their patients’ oral health issues are treated, and the main source of mercury (amalgam fillings) is eliminated, the treatment they are providing for any of the patient's health issues will most likely never achieve the results they and their patients seek. The Book contains studies showing health improvements in patients after their amalgams were removed and has 300 references, attesting to the book’s credibility. Every health practitioner whom the book is provided will be grateful to you and he, or she, will quickly become a great source of on-going referrals and - most likely also becoming a patient. Implementation: First select the health practitioners to provide the book, booklet, and cover-letter to. Then you can either hand deliver them (most effective), or mail them. One of the keys to the success of this marketing strategy is following-up with a personal call to the health practitioners you’ve provided this material to and set up an appointment to meet with him/her. I also recommend providing an extra Poison book for their waiting rooms. The key to having the book generate referrals is to always stamp your contact information on the first page and inside the back cover of every book and booklet you hand out. As a dentist who is Mercury Free (amalgam filling free) and Mercury Safe, I care about my patients’ oral and overall health. We now know there are a number of oral health issues that can severely stress the immune system and dramatically affect overall health. They include gum disease and chronic mercury poisoning from ongoing exposure to mercury vapor released from amalgam silver fillings. I know you will be interested in how these oral health issues can affect your patients’ overall health and how it may not be possible to effectively treat your patients until these oral issues have been dealt with. In order to help augment your understanding about this important subject I’m providing you with a Booklet, The Relationship of Oral to Overall Health: What Every Health Practitioner Should Know together with a Book; The Poison in Your Teeth: Mercury Amalgam (Silver) Fillings . . . Hazardous to Your Health. Both were written by Dr. Tom McGuire, a leading authority on mercury amalgam fillings, chronic mercury poisoning and mercury detoxification. The Booklet will introduce the specific oral health issues of concern and Dr. Tom’s book will provide you with the information you’ll need to fully understand the harmful effects mercury, from amalgam fillings, can have on a patient’s health. I know you‘ll find the information in the book vitally important, not only for your patients but also for yourself, your family and your staff. My advanced training in these areas allows me to identify and treat the oral health issues of patients you refer to me. I also use safe removal protocols to dramatically minimizing unnecessary & excessive exposure to mercury during the amalgam removal. Working together to provide a ‘Whole Body’ diagnosis and treatment of our mutual patients is a great opportunity for us to help bridge the gap between the dental and medical professions. Everyone involved benefits and your role in this is minimal and is clearly explained in the Booklet. You’ll find my contact information below and in the Booklet and Book. I’d be happy to set up a time to talk with you and answer any questions you may have. The follow article is what I encourage all mercury safe dentists to provide to their patients and put in their waiting room in a laminated stand. This is a great way to not only educate your new and existing patients should know about your practice but to save you and your staff time in explaining it and serve to generate new patients. The key to that is to put this information on your letterhead so as it gets passed around people will know where it came from. Strictly speaking, the term “mercury free” refers to dentists who do not put amalgam fillings in their patients’ teeth. This term was invented over 40 years ago by dentists who wanted to distinguish themselves from dentists who felt mercury amalgam (silver) fillings were safe and still put them into their patients’ teeth. Even though the term mercury free isn’t an accurate description (because even if dentists didn’t put in amalgam fillings, they still removed them), it was an effective way of telling patients there was a difference between dentists who didn’t use amalgam and those who did. Over time, dentists who were mercury free developed protocols that allowed them to minimize a patient’s excessive and unnecessary exposure to mercury during the removal process. In effect, using these protocols also meant that their dental practices were now also occupationally mercury safe – but mistakenly they continued to only use the term mercury free to describe themselves. Today it is no longer enough for a dentist who is both mercury free (amalgam free) and mercury safe to just promote his or her practice as mercury free. Why? Because few years ago a survey showed that over 50% of general dentists no longer use amalgam. But, and this is important, for every dental patient to know, not because they were concerned about safely removing them – but because the majority no longer felt amalgam was a good filling material when compared to the newer composites. And guess what? Because these dentists no longer use amalgam, they are also promoting their practices as being mercury free! This has created a problem for patients who believed that dentists who said they were mercury free also meant they used protocols to safely remove amalgam fillings. But there is a solution for both patients and dentists who are mercury free and remove amalgams safely. Dentists who are mercury free and safely remove amalgams need to promote their practices as being both mercury free and mercury safe. Patients who are looking for a dentist who will safely remove their amalgam fillings must ask the dentist if he or she is both mercury free and mercury safe. Bottom line . . . you can’t assume that a dentist who advertises his or her practice as being mercury free, is also mercury safe – unless you ask! when unsafely removed, amalgam fillings release a huge amount of poisonous mercury vapor. the mercury released from amalgam fillings negatively affects your health. you need to be protected from exposure to toxic mercury vapor during the amalgam removal process. Mercury safe dentists also have the specialized equipment, training, experience and skills necessary to minimize their patients’ exposure to mercury during amalgam removal. These are legitimate questions and providing this Patient Handout will address them, plus it has the added value of serving as a disclaimer. Dental schools still teach dentists to use mercury silver amalgam fillings and the American Dental Association (ADA) continues to tell the public they are safe. But recently more and more questions have been raised about the safety of the mercury vapor released from amalgams in a patient's teeth. This has resulted in a controversy and an ongoing debate about them - with some dentists saying they are safe and some saying they aren’t. This has now evolved to the point where over 50% of practicing dentists are no longer putting amalgam fillings in their patients’ teeth. Also of interest is that three countries, Norway, Sweden and Denmark have banned the use of mercury amalgam fillings in the dental practice. This controversy has made me rethink what I was taught in dental school. After extensive research (including reading Dr. Tom McGuire’s book The Poison in Your Teeth: Mercury Amalgam (Silver) Fillings . . . Hazardous to Your Health, and information provided on the ADA’s website, I concluded it would be in the best interests of my patients to no longer offer mercury amalgam as a filling material and become amalgam silver filling free. In addition, because it has been proven that high levels of toxic mercury vapor are released when amalgam fillings are unsafely removed, I’ve made my office as occupationally mercury safe as possible. To that purpose, I use state-of-the art technology, equipment, and safe removal protocols, to protect my patients, my staff, myself and the environment from excessive, and unnecessary, occupational exposure to mercury at my office. Thus, I’ve now made my practice both mercury free (amalgam free) and mercury safe. Becoming both a amalgam filling free and mercury safe dental practice was my decision but I believe that deciding whether or not to have your existing amalgam fillings removed and replaced must be your choice. Because I place great importance on Patient Education, I feel it is my responsibility to educate my patients about the relationship of oral to overall issues and to provide them with the information required for them to make educated decisions. That is why we provide Dr. McGuire’s books and why we also encourage patients to go to the ADA’s website (www.ada.org) to learn more about the pros and cons of removing, or keeping, these fillings. But again we want to make it clear that the decision to remove and replace these fillings can only be made by you. Fill in Your Name and Contact Information Here or Use Your Stationary. Upon request we will email you the Word Document of this Patient Handout so you can customize it to fit your practice. For more information call 800-335-7755. There are two ways to effectively utilize the handout. The first is to make copies of each and provide them to every patient, existing and new. Make sure that you use your Letterhead or include your contact information on the handouts as they will get passed around. Note: Our Marketing Program is also available online at www.dentalwellness4u.com/marketingprogram.html. Dr. Tom McGuire’s book, Mercury Detoxification: The Natural Way to Remove Mercury from Your Body de-mystifies this complex subject and provides information and essential concepts in a language that is easy to understand. Dr. McGuire is also the author of The Poison in Your Teeth: Mercury Amalgam (Silver) Fillings . . . Hazardous to Your Health; and Healthy Teeth-Healthy Body; How to Improve Your Oral and Overall Healt. Although Mercury Detoxification is written with the layperson in mind, it contains a wealth of information that is useful for any dentist or health professional dealing with this issue. Dr. McGuire takes the reader step by step through an understanding of mercury detoxification, simplifies its complexity, and provides a detailed program that can be easy followed. He gives a clear rationale for each step of the program and for each supplement or substance discussed, and emphasizes the importance of caution and careful monitoring. He also includes a list of references for those who want more background on the science behind his recommendations. Whether you are already working with knowledgeable, experienced physicians in your area, or are trying to provide biological support and detoxification guidance yourself to your patients, this book can be a valuable tool. For those working with a holistic physician, the information in the book can provide helpful background information, even if the details of your detoxification program may not be the same as this book recommends. We all know there are a variety of programs and protocols available. If the dentist is trying to help his or her patients with this phase of care, this book can be a very valuable resource. If dentists have been trying to educate physicians in this area, providing them with this book would be a valuable source of information for them. There’s a good section on various supplements, explaining their action and giving recommended doses and protocols. Although the book is focused mostly on a do-it-yourself program that a patient can do independently, it also has a section on pharmaceutical chelators and on diagnostic and monitoring tests that involve a physician or dentist involvement. It’s not likely that there will be universal agreement anytime soon on just what is the best way to detoxify mercury from the body. Dr. McGuire isn’t presenting his program as such, and acknowledges that this is an evolving field. I think this book can be a great resource for whatever level of experience one has, or for any patient that has or ever had amalgam fillings. If you have not had time to research this subject, this book will certainly add to your knowledge base. fillings, chronic mercury poisoning, and mercury detoxification. To learn more about Dr. McGuire visit his user-friendly and informative oral health website at: www.mercurysafedentists.com. This book review was written by Paul Rubin, DDS. for the IAOMT Newsletter InVivo. Dr. Rubin has his Mastership in the International Academy of Oral Medicine & Toxicology (MIAOMT). Dr. Rubin is a mercury free, biological dentist who practices dentistry in Seattle, WA. You can contact him at 206-367-6453 or visit his website at www.drpaulrubin.com. All dentists with a Listing on my Mercury Safe Dentist Internet Directory will receive substantial discounts on all of Dr. Tom McGuire's informative books. For more information on Discount Pricing and to order single books click on http://www.mercurysafedentists.com/iamfdbooks.html or call toll free 800-335-7755. Healthy Teeth - Healthy Body: "Become the Education Dentist"
Finally, a book you, your hygienist and your patients will love! It was written to help teach patients the fundamentals of effective oral hygiene, motivate them to participate, and – best of all – significantly reduce the amount of time you and your staff spent on in-office patient education. In addition, it clearly explains the important relationship between gum disease and overall health and why “they cannot be healthy without good oral health”. “Healthy Teeth – Healthy Body: How to Improve Your Oral and Overall Health” will help make your efforts at educating patients successful, rewarding, and profitable. It’s designed to simplify and standardize patient education and to be easily inserted into your existing prevention program. The philosophy behind providing my book to your patients is to give them a source of information about the basics of preventing dental disease that will change their approach to oral hygiene. Plus, they can refer to the book whenever they need to. Healthy Teeth - Healthy Body will solve the often frustrating problem of how to easily, effectively, and inexpensively educate your dental patients—away from the dental office. As one of the leading authorities on patient education, I know how difficult it is to find enough time at the office to give your patients all the information they need to take responsibility for their oral health. My book clearly informs the patient of the role he or she must play in treating, healing, and preventing dental disease. Through the book they will learn one of the most important concepts of an effective oral hygiene education program: “prevention isn’t done to them, but by them”. Healthy Teeth - Healthy Body also has a special chapter that explains to the patient the vital role the dental hygienist plays and teaches the patient how to effectively work with the hygienist. Your hygienist will absolutely love this book! Most importantly, Healthy Teeth - Healthy Body is an extraordinary practice builder. I guarantee that 99% of your patients will have never read a book like this and they will not only thank you for it but will pass it along to family and friends. As you know, word-of-mouth is the #1 practice builder. I encourage you to read my Booklet, Making Patient Education Profitable, which explains the marketing strategy I’ve developed and details how to cost-effectively use my book to not only educate patients but to add new patients and increase revenues. To learn more about this important book, go to www.mercurysafedentists.com/browse/toothfitness.html. Dentists Listed on my Mercury Safe Dentist Internet Directory get discounts on all of my books. 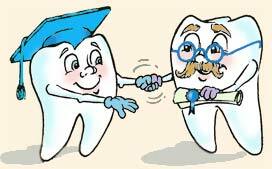 For further information link to www.dentalwellness4u.com/iamfdbooks.html or call toll free, 800-335-7755. The following price List is for quantities ordered in the USA. For orders to Canada and other countries please contact us Toll Free at 800-335-7755. Note: We also ship USPS Priority Mail, USPS Express or Fed-Ex Ground and Regular Fed-Ex. USPS Media Mail is available to United States addresses only. The central component necessary to effectively market and grow a Mercury Safe Practice is making certain your practice is as occupationally safe for mercury as is possible today. Our DVD, How to Make Your Practice Mercury Safe: Minimizing Occupational Exposure to Mercury in the Dental Office is the key to accessing the information you need to make certain you are. I encourage every dentist on my Directory and those I consult with about promoting their Mercury Safe Practice to purchase this DVD. It is the only DVD of its kind available to dentists and sets the standard for learning how to protect yourself, your staff, your patients and the environment from unnecessary and excessive occupational exposure to mercury. The DVD will be beneficial to your practice on many levels. Along with making certain you are doing everything you can to be as mercury safe as possible, it is also a great tool to educate and motivate your staff. This in turn will result in them being more supportive and more active in promoting your practice within the community. It is also a great education tool for new staff members as it will quickly explain to them why it is to their benefit to work in a Mercury Safe Dental Office. Plus it will save you a great deal of time trying to explain it without the DVD. It will also allow you to promote your practice as environmentally green for mercury and provides you with a significant “Marketing Edge”. A Certificate of Course Completion and 6 hours of CE Credits are also offered. But what is even more important, from a marketing perspective, is that you can now promote yourself as having completed this course. I highly recommend that you review the information about our DVD at www.newdirectionsdentistry.com. As an expert on Mercury Safe Dentistry I’ve found that most mercury safe offices have primarily focused on protecting the patient. Of course this is essential but, as you’ll see from the DVD, the long-term exposure to mercury for you as well as your staff, is far greater than a patient’s. Thus, it is essential that you make certain you are doing everything you can to protect everyone in your practice, and the environment, from unnecessary and excessive exposure to mercury. Purchasing our DVD course means there are no travel costs or related expenses of participating in a live seminar. In addition, a number of the manufacturers of the equipment we recommend are offering discounts on the purchase price of their products to those who purchase the DVD. These discounts can, in effect, pay for the cost of the DVD. For more information about this DVD Course go to www.newdirectionsdentistry.com or call: 800-335-7755. As a member of my Mercury Safe Dentist Internet Directory, I want to keep you apprised of natural oral health care products that promote your patients’ long-term oral health and ultimately add to your bottom line. After many years of research trying different oral health care products, I came across one so good that it is the only oral care product I endorse. It’s called OraMD: a liquid toothpaste, mouthwash and breath freshener - all in one. OraMD is a 100% pure and natural proprietary blend of 3 essential oils; peppermint, spearmint and almond. It has proven anti-bacterial properties, is fluoride-free, alcohol-free, and contains no additives or preservatives. Also so there is no risk involved for you or your patients, OraMD offers a One-Year, 100% money-back guarantee. I’ve used OraMD for nearly 10 years and believe in this product so much that I’ve chosen to work with Ray Spotts, the CEO of Trusted Health Products (manufacturer of OraMD) to develop Dr. Tom McGuire’s OraMD Dentist Referral Program and Dr. Tom McGuire’s OraMD Dentist Wholesale Program. Both programs are designed to allow holistic dental professionals to provide this excellent product to their patients and generate recurring passive income for themselves. I wanted to thank you for such a wonderful product in OraMD. You have provided for a healthy alternative for me to dispense to my patients. They love it and so do I. Not one patient that has tried it doesn't use and like it but when they return give it an astounding 'I love it'. As we know that is half the battle in oral health care...getting patients to use the product. With the positive research, great compliance, taste, and healthy alternative to unhealthy, abrasive, toxic over the counter dentifrices - this is a welcomed and much needed product. Thanks again! Two programs are available to participate in (at absolutely no cost or obligation), to promote OraMD to your patients and earn revenue: the Dentist Referral Program, and the OraMD Dentist Wholesale Program. The following is a brief description of both programs. Keep the profits, at a markup of over 100% - retained as profit! As you can see, signing up for both programs will cover the need of any patient whether they want it immediately or want to wait and order the product later, or reorder without going to the office. Whichever way, you profit. If you don’t already have Free Samples you can order them by calling Debbie Cochran at Trusted Health Products, 1-888-423-7500 or email: aaron@trustedhealthproducts.com. I encourage you, your staff and family, to try OraMD. Though OraMD may not be for everyone, your patients can decide themselves. Participating in my OraMD Dentist Program offers the opportunity to enhance your status as a holistic dentist. Introducing OraMD will be a plus for your practice – and your patients. Please review the enclosed information to learn more about the two programs. If you have any questions, or would like to sign up for the program(s), call Melissa Frye at Trusted Health Products, 1-888-423-7500 or please contact me directly. Do you have social pages on Facebook, or Plaxo? Perhaps you have accounts with Linkedin, Twitter, or Google + ... or a You Tube video you'd like to post? As a member of Dr. Tom's Mercury Safe Dentist Directory you can now add social sites to your directory listing. Doing so will allow visitors to your listing link to your social pages by clicking on the appropriate icons added to your listing page - increasing your internet exposure! We are using customized software programs to not only track the number of people who visit your Listing Page and how many click on your website link - but we can now also track the number of people who visit your Social Media pages. We've found that in many cases more people click on the Social Media pages than on the dentist's website. Simply email us the links to your social sites by Clicking Here and we will add them to your listing. Or call us at 800-335-7755. Once the URL has been added, the appropriate icon will be activated. Drs. Tom McGuire and Paul Rubin's YouTube Video Mercury: The Poison in Your Teeth conclusively proves that not only do mercury amalgam silver fillings release toxic mercury vapor - but that the common act of brushing just one amalgam filling - will release more mercury than allowed by governmental regulatory agencies at the workplace. Click Here to view this fascinating and informative video. Or you can search YouTube (www.youtube.com) for Mercury: The Poison in your Teeth. Once you view it you’ll see that it is a great way to provide this important information to your patients – and from a credible 3rd party source. We encourage you to put up a link to it on your website and social media sites. Please contact us at 800-335-7755 if you want to use the image of the video or have any questions about linking to it from your website. The YouTube video is an important message. It not only educates the public about the release of mercury from amalgam fillings but also promotes mercury safe dentistry. It is a great way to make the public more aware of the importance of safe amalgam removal and drive more people to your practice. Mercury is a powerful poison and anyone who has mercury amalgam (silver) fillings is being poisoned by them every day. Most dental patients aren't aware of this fact or if they do - may be skeptical. In fact, according to a Zogby Poll, over 76% of those surveyed didn't even know that mercury was the main component of amalgam fillings. Dr. Tom McGuire's 'Mercury: The Poison in Your Teeth' Video DVD demonstration not only proves that mercury is released from amalgams - but that more mercury vapor is released from brushing a single mercury amalgam filling than is allowed by governmental regulatory agencies at the workplace. His 6 minute continuous loop video uses charts and other visuals to explain the toxicity of mercury and visually demonstrates the amount of mercury vapor released by various forms of amalgam stimulation by the patient - and at the dental office. For more information about this educational DVD and how to order please click here www.dentalwellness4u.com/dentist/mercurypoisondvd.html or call us at 800-335-7755. Find out the latest news in Mercury Safe Dentistry and connect with us on Facebook by Clicking Here. We encourage you to visit Dr. Tom McGuire's Facebook page and add your comments - or just say hello. Below is an article written by Dr. Tom McGuire on how healthy teeth affects good nutrition and overall health in a positive way. We believe this would be a great article to hand out to your patients. If you are interested in having us email you a master copy please call us at 800-335-7755. When most people think about good nutrition, they assume that the only important thing is what’s in their food. Well, chew on this: Teeth—that’s right, teeth!—play a critical role, too. The connection may not be obvious at first glance, but if you have missing teeth or dental disease, you simply won’t get the maximum nutritional value from food. Carnivores, herbivores and omnivores each have a distinct kind of digestive system with teeth designed to match the needs of that system. Take cats, for example. These meat eaters don’t have to chew—sharp front teeth enable them to just rip, tear and swallow—because their digestive tract can handle tough animal tissue. Similarly, the digestive system of herbivores, such as cows, sheep and deer, has evolved to the point where it can digest and assimilate the tough cellulose fibers surrounding all cells in plants. Though their system does that job very efficiently, herbivores still must chew plant food so their bodies can completely absorb it. That’s why herbivores don’t have the tearing, canine teeth of carnivores; instead theirs are broad, flat molars that effectively break down the fibrous cellulose. And what about us omnivores? Our digestive system is set up to process both meat and plants. But it’s no match for the digestive abilities of carnivores and herbivores, and to make up for that shortcoming, we must use our teeth more efficiently. Because we can’t digest cellulose, we have to chew vegetables and plants very thoroughly to extract all of their nutritional content. The same goes for protein foods, animal or otherwise. Your conscious brain plays a key role here, too. What you decide to do with the food in your mouth—chew it well or gulp it down—is the last time you’ll have conscious control over how much nutritional value can be extracted from it – no matter whether it is a salad or a steak. This is where teeth come in. Our most efficient tools for grinding and breaking down both plant and animal products are molars. Humans have eight of these powerful dental food processors—two on the top and two on the bottom on each side of the mouth. Let’s say you lose a tooth and don’t have it replaced. Or you have gum disease or an abscess and simply can’t chew on that tooth or on that side. Functionally, you end up losing two teeth, not just one. Think about it. Take away a top tooth and the tooth below it has nothing to chew against; that makes the bottom tooth useless. It also means you lose 25 percent of the molar’s chewing efficiency. Take away two teeth on the top and you lose 50 percent of efficiency. You’ve heard the expression, “You are what you eat.” At first glance that sounds pretty good, but in reality it isn’t accurate. In fact, you are what you assimilate. It doesn’t matter what you put in your mouth because, first, if you don’t have your teeth, or their artificial replacements, to properly chew food, your body won’t be able to effectively digest it. Second, regardless of how healthy the food is, it can’t be assimilated if it isn’t digested. And third, if it isn’t assimilated, food has little or no nutritional value. If you have lost any teeth and haven’t had them replaced you are putting your overall health at risk. If you are serious about improving your oral and overall health you will need to have the lost teeth replaced. There are many options available to you and the first step in this process is to make a dental appointment. My recommendation is to schedule one with a mercury free/holistic/biological dentist. He/she will be more aware of the important relationship of oral to overall health and will be better suited to support your efforts at achieving optimal oral and overall health. Those who are committed to mercury free/safe dentistry will be able to provide you with a safe mercury amalgam (silver) filling removal protocol to protect you against unnecessary exposure to toxic mercury vapor. The bottom line: You cannot be healthy without healthy teeth and gums.